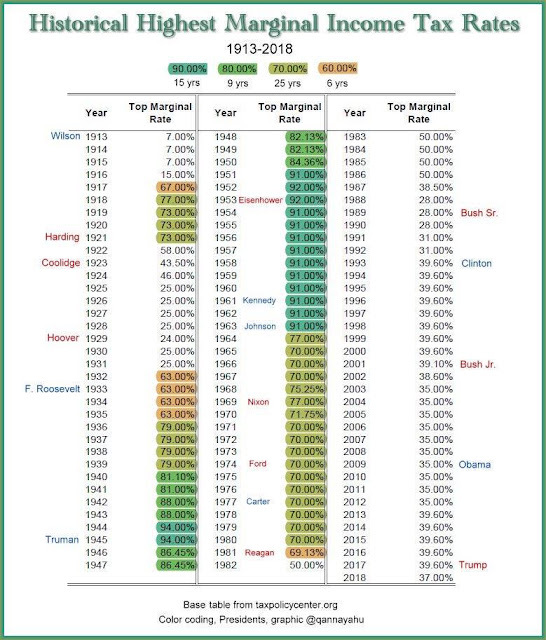 Now when you look at this graphic, check out how healthy the economy really was under Eisenhower and Kennedy as under Eisenhower, the government was in the black. Taxing the rich at the levels of Eisenhower and Kennedy really makes sense doesn't it given the enormous debt America faces in 2019. Thanks Alex for turning me onto this.